Weddings, corporate events, parties, or any special occasion where catering may be desired, Always Perfect Catering can be there. Depending on the budget and preference they are able to accommodate the menu for organic or local ingredients, as well as suggest what may be best for your specific type of event. 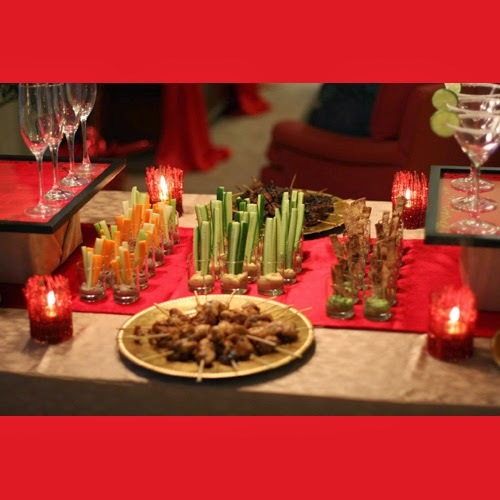 Read about one person's experience with Always Perfect Catering below. I wish there was an extra star for those who go above and beyond...Let me tell you, Michelle at Always Perfect Catering lives up to her name 110%! She was the calmest, sweetest, most amazing vendor at my wedding. Her and her crew were extremely professional. And will accommodate you every need. For example; our plates we had were too small, as was our budget for renting larger ones. On my wedding day I showed up, and everyone was eating on full sized plates! She knew that the others would be too small, and brought larger ones just in case! Who does that??!! Oh yeah, the food was DELICIOUS! I have received countless complements from guests on how amazing it was. And fantastically priced. If you go with always perfect, it will be!